I’ve never been down a mine but I imagine that it takes a certain kind of person to work shifts at a coal-face 1,000 feet below ground. The men are shaped by their antecedents and geography, hewn out of the same landscape around the collieries that provides vital work for generations of families. They’re not brave or heroic, simply stoical, practical men who, when faced with the possibility of being buried alive, do what is necessary to remedy the situation. 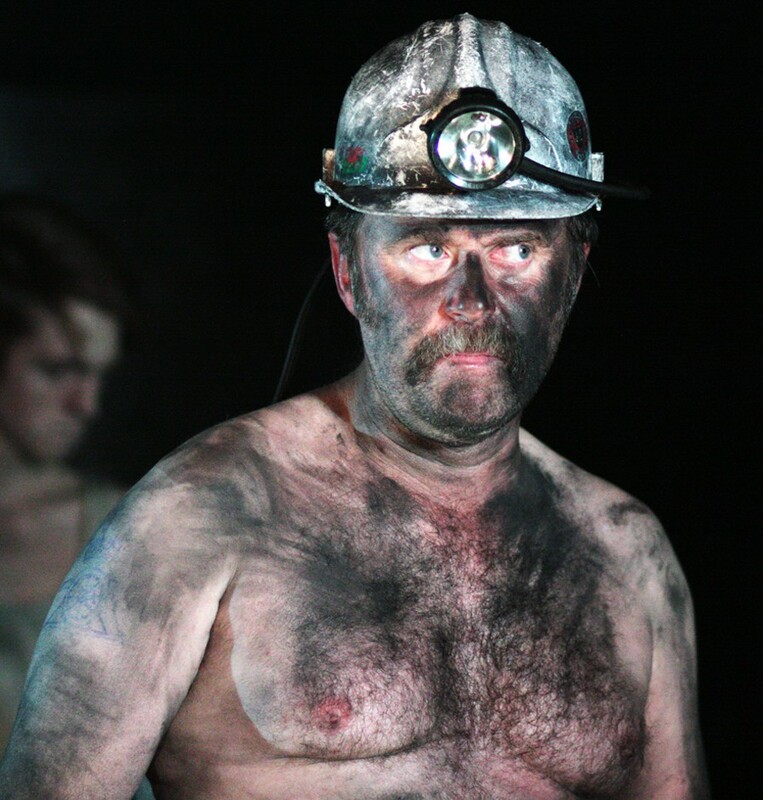 Director Paul Robinson ensures that the audience experience their plight for just a few minutes when the Trafalgar Studios, in London, is plunged into total darkness as the drama unfolds of Chris Urch’s powerful mining disaster, Land Of Our Fathers. This is a hugely important play that Theatre503 has transferred to Studio 2 and I hope that ATG, which owns the theatre, consider it for a national tour. We’re at the bottom of a shaft in South Wales. It’s 1979 and election night when Maggie is trying to take the Tories into power. Such is the mood of the men that it takes a moment before you realise their predicament. They’re trapped underground, some wounded, and they don’t know how long it will take for rescue to arrive. You’d have thought that their desperate situation would have drawn them together but these aren’t easy men and most have grievances with one another. Career miner Curly (Kyle Rees looking every inch the part) isn’t talking to his idealistic younger brother Chewy (just look at the fear etched on the grimy face of Taylor Jay-Davies) because the youngster wants to quit mining for a flat in Hounslow and a career in art. It’s Mostyn’s first day down the mine and he’s terrified. He tries to make friends with old timer Bomber (a superbly earthy performance by Clive Merrison – every other word a juicy expletive). He ends up with a nickname (Julie) after leading the reluctant men in a sing-song of My Favourite Things and harbours a secret involving their gaffer, Chopper (Patrick Brennan). Hovis it turns out was a Polish war hero who settled in Wales, learned the language and married a local girl. Robert East’s subtle performance reminded me of Charles Bronson’s character, Danny King, from The Great Escape, both unassuming and modest men. The dynamics change throughout with men sniping and revealing more of themselves. There’s nothing like staring death in the face for secrets to be admitted and class innocent, Julie, (Joshua Price) isn’t alone. Both Bomber, Chopper and Chewy have troubled personal relationships with the audience being drip fed the information. Chris Urch has an excellent ear for dialogue and the humour is as black and uncompromising as the coal they mine. The story is compelling, unpredictable and deeply moving. It has you on the edge of your seat. The cast of six deliver exceptional performances. At one point the starving men contemplate the unthinkable and you feel their dilemma. “I just wanna see my mam,” bleats a frightened Mostyn and I almost cried. A remarkable and truly exceptional production. 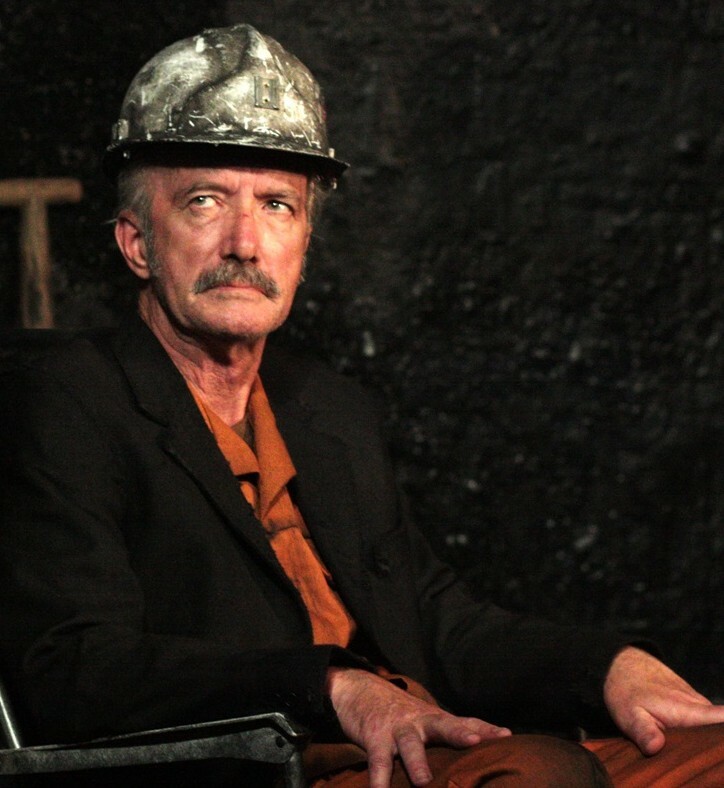 Land Of Our Fathers runs until October 4. A truly amazing transformation of Studio 2, the production is outstanding – a must see.